Split personality. Telekinesis. Fated love. These are all plot devices for our currently airing lakorn, Song Hua Jai Nee Peur Ter (Two Spirits Love). 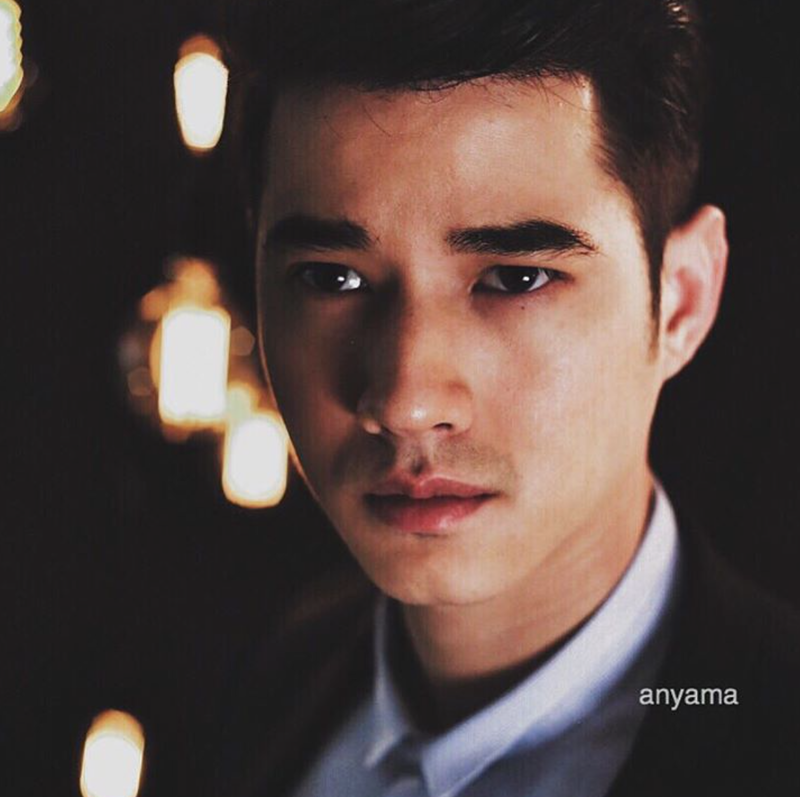 However the most compelling aspect of this lakorn isn’t so much the busy plotline, but it is the talented actor himself – Mario Maurer. Gird your loins; his expressive eyes will go right to your soul. And the chemistry with his costar, Mint Chalida, that’s icing on the cake. Mario plays Thanatorn, a prickly business owner who not only has telekinesis but a split personality. What a total gem – not. He’s nonsensical, on guard and can’t quite control his powers. He may seem tough and mean, sparks literally fly when he walks by, but he’s just a person who’s afraid of losing control. Can’t fault the man when you got an incurable condition like a dissociative personality disorder. He just never knows when “the other guy” decides to show up and whether he’ll overstay his welcome. There is a trigger though. Thanatorn gets recurrent dreams of a woman dressed in traditional Thai clothes. One fine evening in a heavily congested street, he meets a woman who looks just like the woman in his dreams – Kewalin (Mint Chalida) who was on a volunteer paramedic run. Next thing we know, Thanatorn collapses in her arms (we haven’t been shown how the switch transpired, just that it did.) The “other guy” is called Mek, a soft spoken, kind man riddled with battle wounds and who appears to be a blast from the past. Which begs the question, is he a time traveler or Thanatorn’s alter ego? Perhaps both! Kewalin thinks he’s amnesiac since he seems so lost, and gives him shelter for the night. And as if nothing happened- as if the switch just turns itself back off – Thanatorn is back as himself again. 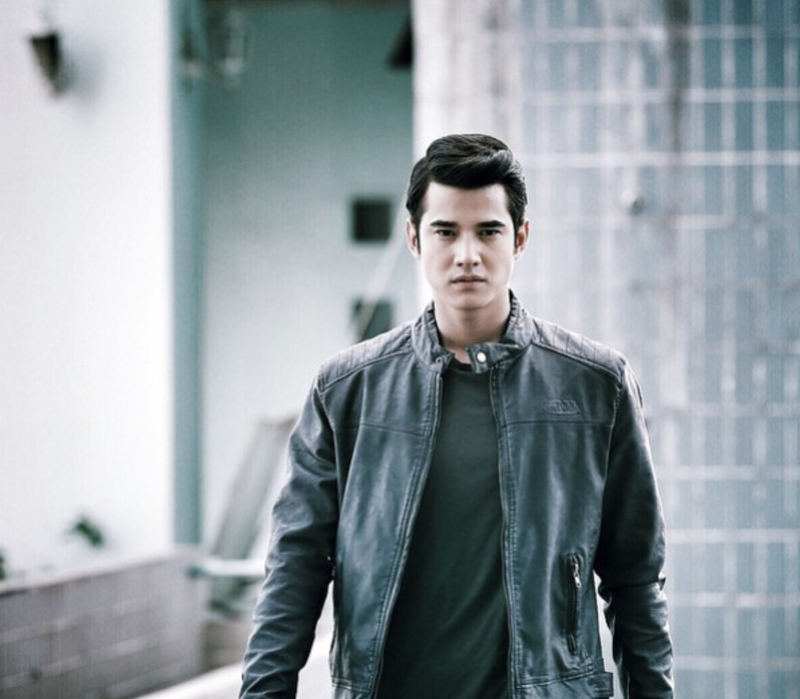 Ah, Mario Maurer is simply perfection in this lakorn. He plays the polar opposites Thanatorn and Mek to a tee! One will not get confused who is who. I am so interested to see how this love triangle –which is not really a love triangle – plays out! Thank goodness channel 3 decided to pair these two together, so much chemistry! Mint Chalida isn’t so shabby herself with what she is given. Kewalin has a good head on her shoulders, and it’s hard to fault her reaction when she has to deal with two different personalities coming from one man. I thought we had it hard dealing with a pr’ek who is hot one minute and cold the next, but dealing with a pr’ek who simply won’t remember what happened or takes on an entirely different persona? That’s a tough job for anyone. Kewalin has my sympathies. But she does get rewarded with adorable puppy dog eyes from Mek. Gah. The rest of the cast is pretty great as well – especially on Kewalin’s friend/family side. Parent living far away, strict brother, funny friends – all makes for a fun and engaging watch. The writing and directing however, could use some work. I’d really like to see a better transition from the switch between Thanatorn to Mek, instead of the excuse that either Thanatorn or Mek just simply disappears and we get another scene. I’d love to get a reaction of Thanatorn when he wakes up from under Kewalin’s bed! Now that would have been interesting, instead we see him flashing back to the time he leaves her home all confused. If the switch is as “on and off” as it seems, then put him in the middle of something totally uncomfortable. 6 months. Time has gotten ahead of me. I cannot believe I’m a mother to someone. Me too,, was so happy when these pranang paired up. Mario and Mint has so much chemistry.. to the extent. Thanks for your post P’Fia and welcome back! Awesome! Cannot wait to watch ep 1!! And congrats on motherhood! Mario looks so handsome in those photos! *Drool* By the way, congratulations on your new bundle of joy! Hi Fia, so great to have you back! Hope your little prince Cameron is doing well. Yes, I love this lakorn with Mario and Mint. The storyline is a bit hard to swallow but it’s interesting! Please comment now and then on this lakorn. We need you! Were you going to recapping this series, Ma’am…..
Hi Patty, no I am not planning on recapping this show. Hope all is well with you. Thanks! May I suggested that you recapping Hong Hoon! Hi, I’m new here, well I’m new to larkons, I just discover Kiss Me and Full House, and I’m hook. So here I am looking to know a little more about this hole new culture. I like some of these dramas. I like very much Kdramas and Jdramas and my sister introduce me to Thai dramas. 🙂 Thank you very much for your blog. And Congratulations for your baby!!! I have watched this one too. Good and funny. I enjoyed my time watching this. Excellent drama .. I enjoyed each episode from 1 to 12 . Captivated by Mario character + lovely couple with Mint .